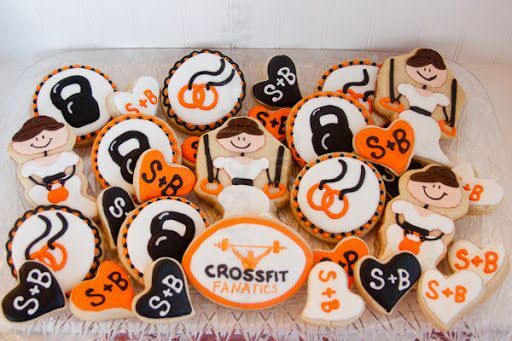 Bridal Shower Theme "Bells + Rings" | Sweet Shop Natalie It's no secret I love being the blog where CrossFit, couples, and weddings collide! A place that brings together unique wedding details for unique brides, just like these "bells and rings," bridal shower cookies. I mean, too cute, right? The wedding detail I'm loving column will be a regular feature on Wednesdays in 2015! I have so many photos of cool ideas like this one that I can't wait to share. See my other favorite wedding trends.